One of the most important things that I have learned over the last 25 years of working with under-resourced communities is that trust and security between neighbors is even more critical when trying to build long-lasting solutions to poverty. The majority of under-resourced communities with which ENLACE works lack access to adequate and affordable health care, education and dignified housing and employment. And yet, when you talk to community members, they state that the primary issue that keeps them from working together to resolve their problems is the lack of trusting, genuine relationships. Many community leaders state that the hardest part of living in their impoverished community is the sense of loneliness. They feel that they are on their own just trying to survive. They describe cordial relationships with their neighbors, but not deep relationships of trust in which they can talk about their personal and community problems, much less begin to work together to address them. 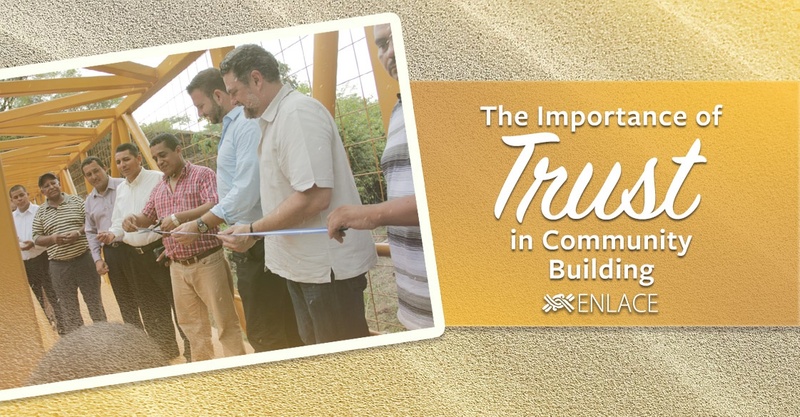 Over the last 25 years, ENLACE has focused on training church leaders and members to reach out and build genuine relationships of trust with their non-churched, community members. We have encouraged churches to go outside of their comfort zones and join community meetings, participate in community projects and activities in order to create genuine, honest and caring relationships with their neighbors. As churches have built new kinds of relationships with their neighbors, they have gained a clearer vision and commitment to serve their communities. As a result, these relationships have led to such things as building sophisticated water systems, building and running health clinics that serve thousands of people each year, developing small businesses, and much much more. Read our 25th Anniversary Annual Report for all the numbers and breakdown of projects, programs and people served. sense of belonging and safety in the community that can lead to long-term changes. We are truly thankful for your support and care as we walk with these churches working in such difficult situations. We hope you continue on the journey with us! We hope you can attend ENLACE's 25th Anniversary Celebration this October! Click here for details.